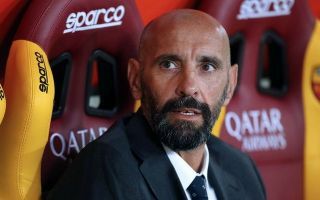 Arsenal have been linked with appointing Monchi as a technical director after his exit from Roma, and now a transfer shortlist has even been touted. It was all change for the Giallorossi this week, as after Eusebio Di Francesco was sacked, Monchi’s departure was officially confirmed on Friday. Claudio Ranieri has since re-joined the club as they look to qualify for the Champions League next season, but now Monchi will assess his options and a potential new role if he’s eyeing an immediate return to football. As noted by The Guardian, it’s suggested that the former Sevilla sporting director is considering a move to Arsenal, which would of course set up a reunion with Unai Emery after the pair previously worked together at the Spanish outfit. Monchi has undoubtedly built a strong reputation over the years for having a good eye for talent, and that was evident in Rome too where he added several exciting young players to the squad. However, results didn’t arrive and he has since paid the price along with Di Francesco, but if he were to join Arsenal, it has already been suggested that certain targets will be on the radar. According to Corriere dello Sport, should he get the job at the Emirates, Daniele Rugani, Adrien Rabiot, Ever Banega, Nicolas Tagliafico and Nicolo Zaniolo would be his priorities to try and strengthen the Arsenal squad. In truth, it does actually fit together as it would address Arsenal’s problems in defence and midfield, as adding a centre-half and left-back would help shore things up at the back given their leaky record this season, having conceded 39 goals in 29 league games which is the worst defensive record of the top seven sides. In addition, it could be argued that they lack quality and depth in midfield, something that the likes of Rabiot, Banega or Zaniolo could provide, while they appear set in attack with Pierre-Emerick Aubameyang, Alexandre Lacazette and others. However, time will tell if firstly Monchi does arrive as nothing is official yet, and beyond that, if these are indeed his preferred signings as he will undoubtedly do his research before taking on any job.